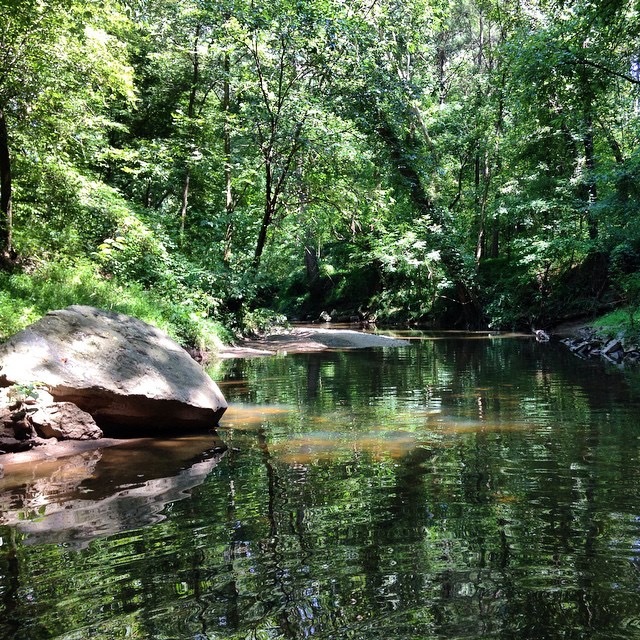 The Proctor Creek Collaborative Health Survey was funded in spring of 2014 as the first community-based pilot study for the HERCULES Center. The pilot project was a product of a strong collaboration between HERCULES investigator, Andrea Winquist, and multiple community partners including ECO-Action, Community Improvement Association, West Atlanta Watershed Alliance, English Avenue Neighborhood Association and others. The project was completed last fall and a presentation of findings and community discussion held in December. Overall, the team found higher than expected levels of mold with many of the participants not aware that mold was a problem in their residence. Through dust sample testing, they also identified a higher than expected (in comparison with the American Health Homes Survey) measure of water-damage-related mold in homes surveyed. Given the potential health implications of mold, there is strong concern in the community about what can be done to mitigate these exposures. A few resources for mold concerns were highlighted in the brochure distributed to the community in December including the overall survey results. Additionally, a community forum was led by ECO-Action this summer to discuss survey findings and next steps. The community-based organizations involved are now in the process of determining next steps to follow up on the survey findings. Read the full brochure and overall findings here.